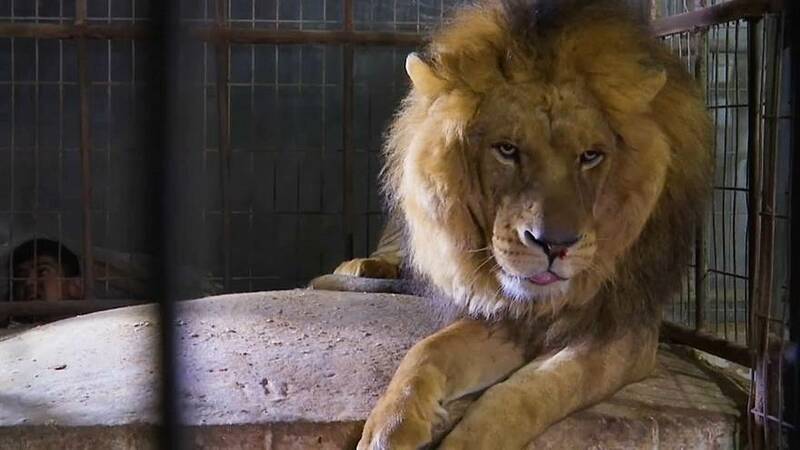 An international welfare group evacuated dozens of animals languishing in a ramshackle Gazan zoo on Sunday to sanctuaries abroad, in the fourth and largest such rescue mission in the beleaguered, war-torn Palestinian enclave. Vets and volunteers from Four Paws International loaded some 40 animals and birds from the neglected zoo in Rafah in the southern Gaza Strip and headed to the Israeli border in the north, en route to resettlement in Jordan and Africa. The rescued animals included five lions, foxes, monkeys, pelicans and ostriches. The current evacuation was scheduled last month, but a round of cross-border violence between Israel and Gaza militants forced the organisation to postpone it.